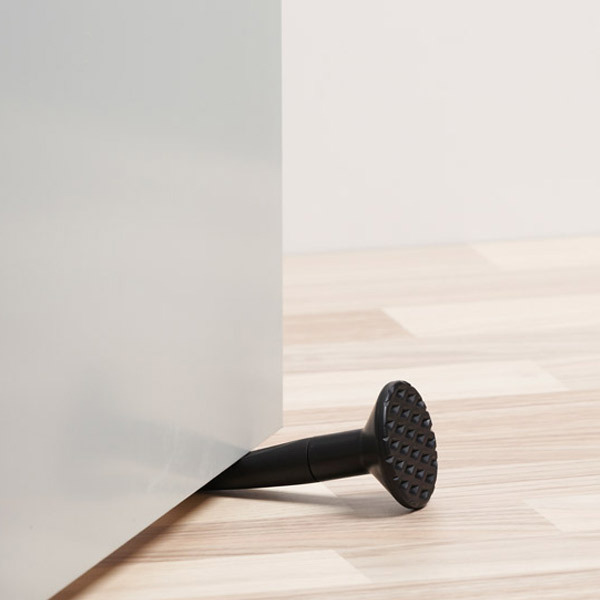 Nail Doorstop. That door is not still and is closing slowly, surely you've ever thought that a nail solucionarías the problem. They say a nail drives out another, as this will nail you hold the door. Hold nail-shaped doors made ? ?of rubber that his mission also to hold the door is more fun to everyday objects we can use. Nail Doorstop measures: 13 cm.